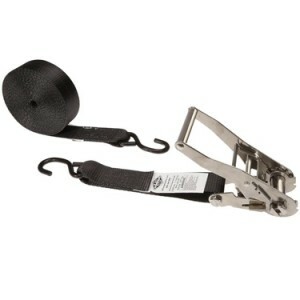 Have you checked out our 2″ ratchet straps page recently? We’ve not only added 150 new 2″ ratchet straps, we’ve also created several new categories to make it easier to find what you’re looking for. Our larger categories such as flat hook ratchet straps– are now also in an easy-to-use list and color buttons take you right to other color options. Most of the product additions come from new colors and lengths, but we’ve also added new fittings and ratchet options based on the suggestions we hear from our customers. Stainless steel ratchet straps and military ratchet straps are two examples. We’re happy to be able to offer customers what they need. Our new sewing and assembly department is also playing a big part in this overhaul of the 2″ tie downs category. Because we’re building our straps on-site and not having to import them from China, we’re able to offer a wider variety of options, with absolute quality guaranteed. 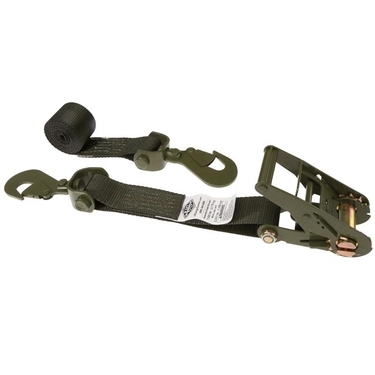 This major 2″ ratchet straps re-vamp is just the beginning of new products we’ll be adding to our overall tie down category. Next up: more endless ratchet straps and new l-track / logistic track products. Let us know what products you’d like to see us add to the website. Reply here, shoot us an email at: customerservice@uscargocontrol.com or give us a call: 866-444-9990 (toll-free).